The Canadian Embassy in Mexico City collaborated with the Indian Embassy and Mexican government's Instituto De Bellas Artes to present Toronto-based Bharata Natyam dancer Janak Khendry and his company dancers perform in Mexico City on April 28-29. “For us Canadians to be a part of presenting Janak Khendry's excellent professional and innovative dance group was because it was a very good opportunity to highlight multicultural nature of Canada.” said Jeffrey Marder, a spokesman of the Canadian Embassy in Mexico who was one of the coordinators for the project. In a telephone interview, he told India Abroad. "My sense is Mexicans don't know much about the Indian classical dance styles. So we wanted to give them a taste of Indian classical dance and to show case multicultural nature of Canada. People in Mexico may find it strange how world class Indian classical dance group is coming from Toronto. Through this performance, our message was that Canada is made of people from all corners of the world. So, it was a wonderful opportunity for us to showcase an excellent group from Canada's multicultural society." The organizers in Mexico chose the best location there is in Mexico City for performance by Janak Khendry’s choreographed two numbers: 'Moods of the Rhythms' and 'Gayatri'. Khendry, who's the founder of the company, explained to this reporter that the first item is based on "five basic talas (rhythm’s) in Bharata Natyam. You cannot exist without it. Rhythm is life, even though we do not understand how important it is and that all human emotions are reflected in it," he said. 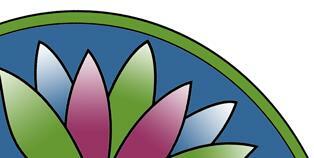 “And 'Gayatri' is mantras from the Rig Veda about life, light and creation." Khendry and his group consisting of four others - were also invited to perform at the International Dance Day, the only group that represented Canada. Marco Antonio Silva, head of Mexican's National Institute, said that presentation of Indian classical dance was the 'ultimate in poetry, dance and music, all coming together the way it was presented.' "Khendry visited Mexico City at the invitation of the Indian Embassy, guest of Mexico's foremost National Institute of Dance (under CONACULTA, equivalent to the Cultural Ministry) and the Canadian Embassy," said Indian Ambassador Rajiv Bhatia. It is the first collaboration involving the Mexican Institute, Canadian Embassy and the Indian embassy. "In broad context, Janak's performance has made a good impact in Mexico," Bhatia said. "It was an important cultural event." We thought it made a very good project for us to collaborate with the Indian Embassy in Mexico, and Mexico's dance institute," Marder said. The initiative to invite Khendry's group came from the Indian Embassy and "when they approached us, we thought it was a wonderful opportunity for us to show case an excellent group from the Canadian multicultural society.” Marder said. We wanted to create an increased awareness (among Mexicans) as to how Canada has changed. I think Mexicans have a good sense of Canada. They are not, however, fully aware how diverse Canada is. So, by presenting this program, it was possible for us to show how multicultural Canadian society is today. “I thought it was amazing, different style of dance that I have seen. It was unique, wonderful dress and fantastic quality of Janak and other dancers,” Marder said. A NEW STAR is born on the horizon of Indian dance. 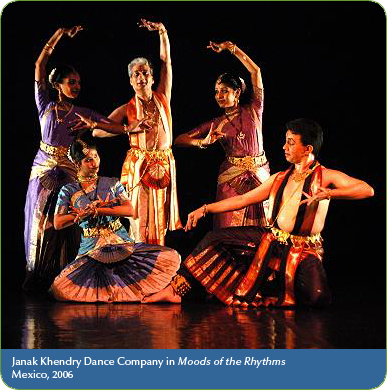 Janak Khendry, a North Indian male dancer adopts Bharatanatyam, the dance style of South India dominated by female dancers, and excels his four fellow female dancers. Khendry’s performance was brilliant and flawless. Deccan Herold - Hyderabad, India 1957. T.K. Narayan's dance troupe from Hyderabad presented a colourfull evening of Bharatanatyam. Janak Khendry’s Varnam was danced with perfect understanding of the the theme and his Abhinaya in Angevarugalamu had the entire audience in tears. This young dancer has a great future ahead. Deccan Herold – Vijayawada, India 1958. Indian dancers entertain Russian delegates at the Jubilee Hall… Janak’s Tillana won the hearts of our guests. Deccan Herold – Hyderabad, India 1958. Translated from Urdu) …foreign visitors get the taste of Indian culture at the Jubilee Hall. An evening of music and dance was presented for the enjoyment of our Russian guests… the evening ended with a breathtaking Tillana performed by Janak. After the performance all the visiting dignitaries came on the stage and wanted to learn few steps from Janak. Milap – Hyderabad, India 1958. Hyderabad celebrates Tagore’s centenary at the new Ravindra Bharati Theatre. …two of Tagore’s dance dramas Chitrangada and Basant were presented…Janak played the leading role of Rituraj, the Kind of Seasons, in Basant. Janak was the personification of Spring, his beautiful lyrical movements and bright yellow costume were like a gentle breeze on a sunny day. Deccan Herold – Hyderabad, India 1961. The Varnam was rendered with perfect understanding of the infinite subtleties on mood and sentiments. The performance ended with a rousing Tillana in typically Khendry style, with broad sweeping movements. New York Times – New York 1976. Khendry was at his best in the dances that stressed emotional and dramatic qualities. Khendry has particularly fluid arms and brings to plot less dances like Jathiswaram and Tillana an unusually clear sense of spatial arrangement of the body in a strongly defined performing space. New York Times – New York 1978. History was made in Toronto on October 15, 1997 when PANACHKALYANAKA a dance drama created by Bharatanatyam dancer choreographer Janak Khendry, premiered at Toronto’s prestigious Premiere Dance Theatre. This four year project involved several trips to India, consultations with a number of Jain scholars, recording the divine music, long hours of practice sessions and a cast of twelve dancers. The superb performance thrilled the audience with its realistic excellence and moved them with Mahavir’s message of non-violence. We believe that no Jain individual or an organization has been more effective in bringing Jainism to the attention of main stream Canadians than Janak Khendry. Jain News – Toronto 1997. “CAPRICATING SPLENDOUR OF GAYATRI” Janak Khendry of Canada presented “GAYATRI”, an artistic choreographic piece…rational and soul elevating presentation. To those who went to be fixed in a spiritual mooring for an hour and a quarter, Janak Khendry’s “GAYATRI” spread out the spiritual treasures in a divine pattern. India Express – Ahmedabad, India 1999. JANAK KHENDRY DANCE COMPANY presentation of GAYATRI danced to the hymn of Rig Ved at Ravindra Bharati Theatre was a UNIQUE RECITAL. DECCAN HERALD - Hyderabad India 1999. Janak Khendry's recent creation "THERIGATHA", focusing on the inner musing of five Buddhist nuns - Maha Pajapati Gotami, Ambapali, Kisa Gotami, Sona and Sundari, who reached Bhuddhahood after coming in contact with the great Gautama Buddha. Khendry, after exploring the life of Mahavira of the Jains and the mysteries of the Gayatri Mantra of the Hindus, has turned his attention to the life of Siddhartha, nee Buddha, and his meteoric impacts on the lives of people he touched.